Happy Holidays from the Chamber! 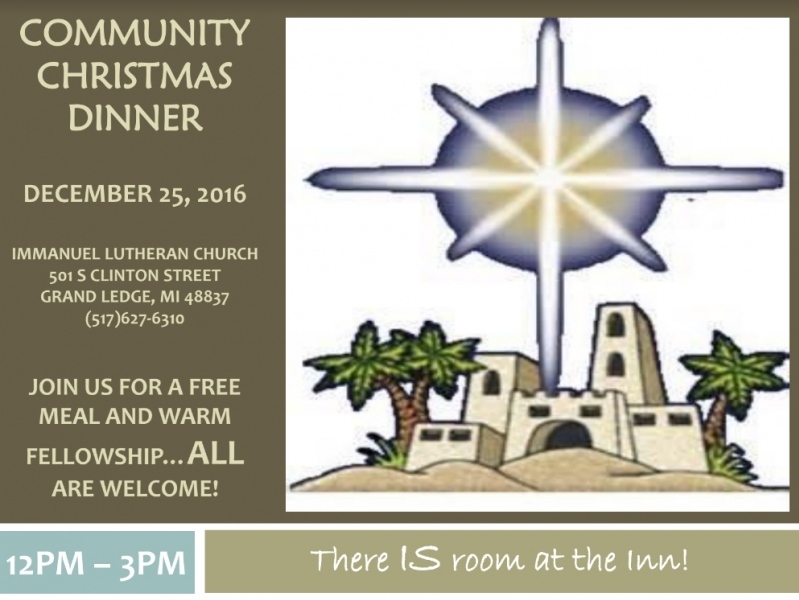 On Christmas Day 2016, Immanuel Lutheran Church will be hosting the first of what is hoped to be an annual Community Christmas Dinner. The dinner will be served from 12:00 - 3:00 PM, and everyone is welcome to stop in for a warm meal and friendly fellowship. There is no cost for the meal - it is free. The idea began with a single person. Someone who saw an opportunity to provide to those who may be looking for a meal on Christmas Day. To give someone who may not have family coming over a place to go to enjoy warm and friendly company. A lot of places that would normally be serving food, such as restaurants and fast food establishments, close their doors for the day. Where would someone go? The idea was mentioned to others, and with much excitement and enthusiasm, a Community Christmas Dinner committee was formed and the planning began. It has been an exciting and busy couple of months preparing for the upcoming event. People have volunteered their time and talents to make this a special time. With Christmas now only a few days away, the final preparations are underway. While it is not known how many people to expect this first year, even a single meal served to someone is worth it. It is about fellowship and providing folks a place to celebrate the holiday with many others. It is about community and being there for one another. There IS room in the Inn! If you have any questions, please email Julia Hoornstra or call Julia at 517.202.3956. 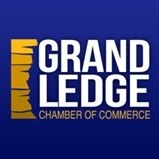 Do you have an upcoming event you want Chamber members and the community to know about? Please submit your events on the Chamber's website, so we can help promote it. 'Like' the Chamber's Facebook page, so you can stay up-to-date on Chamber news, community events, and local information. 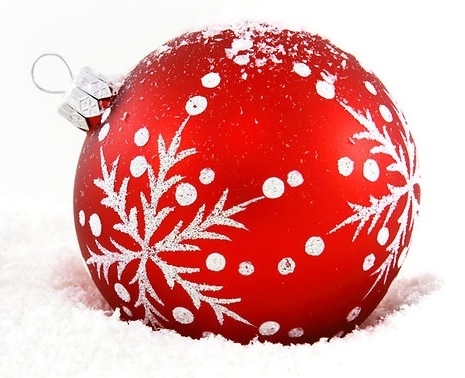 Upcoming Community Events - Happy Holidays from the Chamber!